Inspiration can come from triumph, tragedy and all points in between as we know – that’s the unpredictably of the muse. 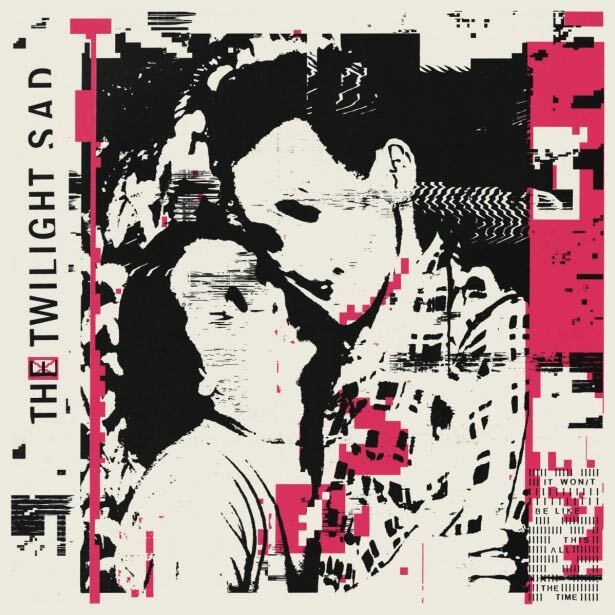 The Twilight Sad found themselves in this best of times, worst of times territory in the last 12 months; after reaching out speculatively to The Cure’s Robert Smith he invited them on tour for a year, whilst at the other end of the scale friend and fellow Scottish music pioneer Scott Hutchison took his own life. Given the band’s up/down career trajectory to this point the impact of these events and the departure of founding member Andy Devine could’ve resulted in unpredictable outcomes, but It Won’t Be Like This All The Time is a self proclaimed march towards a quality few would’ve guessed James Graham & co. would ever be interested in: Hugeness. With Smith rumoured to be part of the quality control process, the band’s fourth album is more subtle than slipping in pallid EDM and hiring in a couple of drill artists. Instead it’s what long term fans will know them for – emotionally complex, dark punk-folk – but with this time with more doors open than previously to the outside world. There are acerbic some nods to their mentor on The Arbor and Keep It All To Myself, but this break for wider exposure peaks with Ague Maschine, a track that harnesses ambition and the wreckage of thought together on a record that may change everything for a band who’ve found themselves on the other side of catharsis.